So before I begin, I would like to really emphasize that I am by no means an alimah (scholar) or anything of that sort. I am just what you may call a curious lay person who tends to look for the poetic in the mundane (sometimes a little too hard, I am told). Also, in terms of my positionality, I will be taking inspiration from a metaphysically-oriented Islamic ontological framework to organize my thoughts on the relationship between womanhood, the body and spirituality. Recently, I have noticed a couple of posts on my newsfeed relating to menses and fasting. As a Muslimah, I of course can relate to the awkwardness that ensues when people unaware of the fiqh (jurisprudence) of period-hood begin prying about our sudden interruptions (including clueless Muslim men who should be minding their own business). 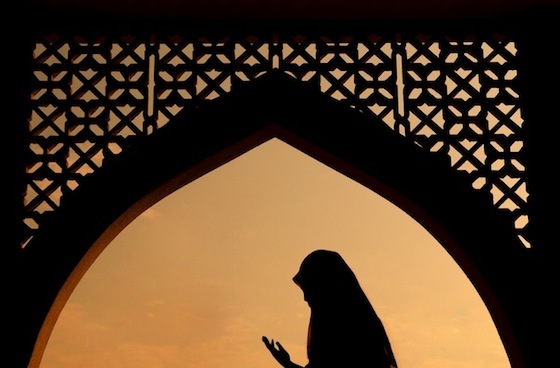 The questions that immediately follow, once it is learned that Muslim women pause their practice-based observance (i.e. praying and fasting) are “Why? Why can’t you pray? Why can’t you fast? Why must you stop?” And the common answer that is usually given goes something along the lines of – “well, it is a mercy that the requirements are lifted,” while others fall back on the good old “impurity” response. I am not saying that either of those responses are null, or even that something is wrong with them, but I personally have tended to think of it differently. To me, the time in our cycles where our bodies take active command of themselves, contracting and expanding, shedding and renewing, leaving us emptied of the life-nurturing substance that has reached its expiration to begin anew – I have always felt it carried a type of mystical, other worldly, difficult to articulate, fundamentally spiritual feel to it. Basically, so much more than what we are told in high school biology. In my mind, the exemption women have during their period has less to do with impurity and more to do with a shift in our metaphysical relationship with universal macrocosmic elements, and by relation to truth. I am talking about another dimension of existence, one that our bodies transport us to. Yes, I know this may sound a little ‘out there’, but give me a few more lines. We are told that prayer is like the marrow of worship in our tradition. We are also told that everything around us, the natural world and even inanimate objects alike, are in a constant state of alignment or connectedness (i.e. worship), making actual ritual alignment redundant and unnecessary for the nonhuman world. Accordingly, the logic follows that the end goal of ritual performative prayer, supplication and worship is to gain connectedness with a universal order much bigger than us, and through this connectedness we gain alignment with The Sustainer of this order. I feel that for those five to seven days of pain and shedding, and some more pain and shedding, we as women enter a space of unconscious ubudiyyah (worship), a state of alignment that could arguably be compared to the type of constant worship that all objects in our universe are said to share. During this short window at the end of our cycles, it is as if our bodies have ascended us to a realm of alignment embedded in simply being, a state of being that puts us in conversation with macrocosms that are beyond our senses. Arguably, making conscious attempts at alignment through ritualized worship are not only redundant but even subpar. I find the ritual bath we partake in after the completion of our menses also fitting, not because we need to clean ourselves in a literal sense, but because as our bodies empty themselves and start anew, we as consciousness also willfully perform a cleansing by running a life-giving element (i.e. water) down our bodies — beginning our new cycle of worship renewed in body and spirit. I mean, just think about it: I ain’t a poet by any means, but there is so much poetry in there — like, so much! As beings that are endowed with life harvesting and nurturing bodies, I have always felt there is an essential metaphysical and poetic aspect to our composition. Let’s not forget that the word “womb” in Arabic derives from the same root word as “mercy,” and Mercy is arguably the ONE’s ultimate name. Our body is a burden and a blessing that has an ability to perhaps place us in a state of knowing that literally connects us to the fundamental motions of the universe. I like to think that for a week or so, we are effortlessly transported to a space wherein we share in the dance, rhythm and motions of the stars… Or we are just ‘impure’ and can’t pray until we take a shower (Allahu Alam – truth lies with Truth). This was a great article! I totally agree with your viewpoint and I had never thought of it as that way before. People often feel upset that they are “cut off” from spiritual worship, but this article shows that maybe we just go to a different dimension of worship. I love it!